Rain LilySemi-evergreen perennial from bulb. Soft, green grass-like foliage grows in low clumps. Pal..
Toatoa/Erect SeaberryEvergreen perennial. Dense mound of small, linear, bronze leaves on wine-colore..
Ginger LilyDeciduous perennial. Large, long glossy green leaves grow on upright rhizomatic stalks. F..
Ginger LilyDeciduous perennial. Large, long glossy green leaves grow on upright rhizomatic stalks. L..
SunroseEvergreen perennial. Used as groundcover. 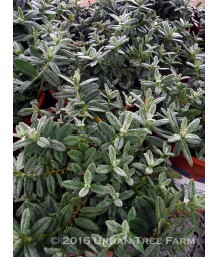 Dense grey-green foliage grows into a thick attract..
SunroseEvergreen perennial. Used as groundcover. Dense blue-green foliage grows into a thick attract..
SunroseEvergreen perennial. Used as groundcover. Dense green foliage grows into a thick attractive c..
SunroseEvergreen perennial. Used as groundcover. 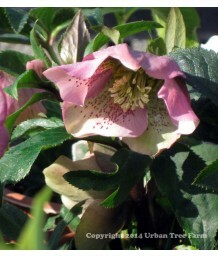 Dense matte green foliage grows into a thick attrac..
SunroseEvergreen perennial. Used as groundcover. 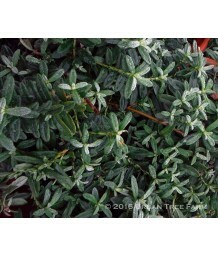 Dense silver-green foliage grows into a thick attra..
SunroseEvergreen perennial. Used as groundcover. 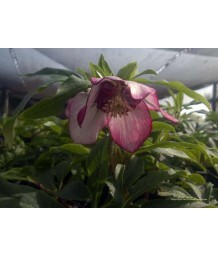 Dark green foliage grows into a thick attractive ca..
SunroseEvergreen perennial. Used as groundcover. Grey-green foliage grows into a thick attractive ca..
Perennial SunflowerDeciduous perennial. Rich green, pointed leaves form a fluffy mound. Bright yello.. Swamp SunflowerDeciduous perennial. Narrow deep green leaves grow on tall vertical stems, giving thi..
Perennial SunflowerDeciduous perennial. Narrow, fuzzy green leaves grow on groundcover-height stems,..
Ruby Cluster Straw FlowerEvergreen perennial. Beautiful aromatic woolly leaves are silver with soft ..
StrawflowerDeciduous perennial. Lance-shaped grey green leaves have a slight texture. 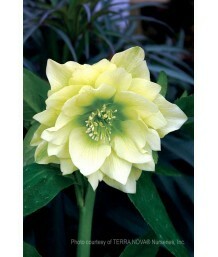 Long-lasting p..
Curry PlantSemi-evergreen perennial. Aromatic grey-green leaves are remiscent of curry, although the.. Dwarf Curry PlantEvergreen perennial. 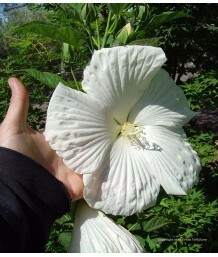 Foliage is aromatic, narrow and silver-white. Clusters of gold..
Licorice PlantEvergreen perennial. Attractive foliage is bright chartreuse with a velvet texture. Cl..
Licorice PlantEvergreen perennial. 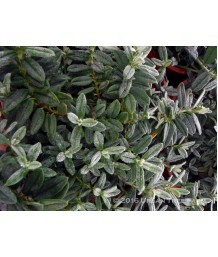 Attractive foliage is silver green with dainty compact leaves. 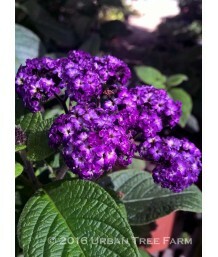 Fl..
Common HeliotropeSemi-evergreen perennial. Can be frost tender, may be treated as an annual in cold .. Dwarf HeliotropeSemi-evergreen perennial. 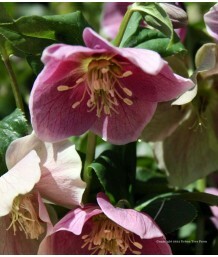 Can be frost tender, may be treated as an annual in cold w..
Corsican HelleboreEvergreen perennial. 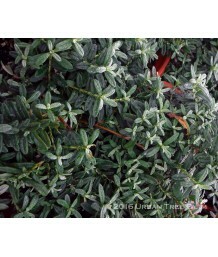 Blue-green leaves with slight purple undersides grow into shr..
Lenten RoseEvergreen perennial. Large attractive green leaves grow into shrubby mounds. 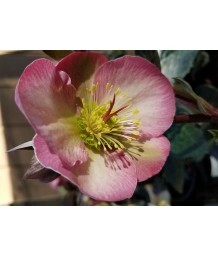 Beautiful de..
Lenten RoseEvergreen perennial. Large attractive dark green leaves grow into shrubby mounds. Single ..
Lenten RoseEvergreen perennial. Large attractive dark green leaves grow into shrubby mounds. 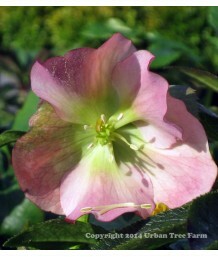 Light p..
Lenten RoseEvergreen perennial. Large attractive dark green leaves grow into shrubby mounds. Purple ..
Lenten RoseEvergreen perennial. Large attractive dark green leaves grow into shrubby mounds. Soft pi..
Lenten RoseEvergreen perennial. Large attractive dark green leaves grow into shrubby mounds. Rich pi..
Lenten RoseEvergreen perennial. Large attractive dark green leaves grow into shrubby mounds. Purplis..
Lenten RoseEvergreen perennial. Large attractive dark green leaves grow into shrubby mounds. Buttery..
Lenten RoseEvergreen perennial. Large attractive green leaves grow into shrubby mounds. Soft cream f..
Lenten RoseEvergreen perennial. Large attractive green leaves grow into shrubby mounds. 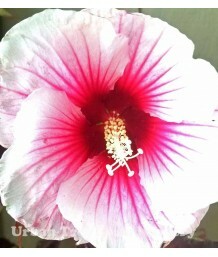 Beautiful pe..
Lenten RoseEvergreen perennial. Large attractive green leaves grow into shrubby mounds. Beautiful so..
Lenten RoseEvergreen perennial. Large attractive dark green leaves grow into shrubby mounds. Beautif..
Lenten RoseEvergreen perennial. Large attractive green leaves grow into shrubby mounds. Beautiful cr..
Lenten RoseEvergreen perennial. Large attractive green leaves grow into shrubby mounds. 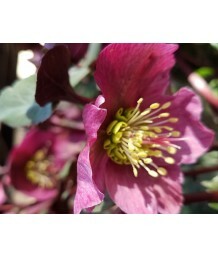 Beautiful pu..
Majorcan HelleboreEvergreen perennial. Large attractive blue-green leaves grow into shrubby mounds. ..
Christmas RoseEvergreen perennial. Large attractive green leaves grow into shrubby mounds. Beautiful..
Lenten RoseEvergreen perennial. Large attractive green leaves grow into shrubby mounds. 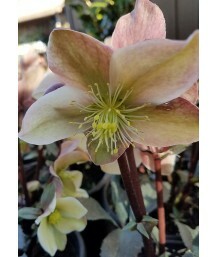 Beautiful gr..
Lenten RoseEvergreen perennial. Large attractive green leaves grow into shrubby mounds. Beautiful pi..
Lenten RoseEvergreen perennial. Large attractive green leaves grow into shrubby mounds. 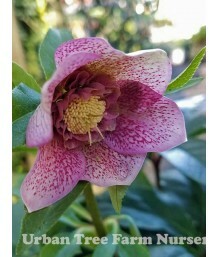 Beautiful fl..
Lenten RoseEvergreen perennial. Large attractive green leaves grow into shrubby mounds. Beautiful da..
Lenten RoseEvergreen perennial. Large attractive green leaves grow into shrubby mounds. 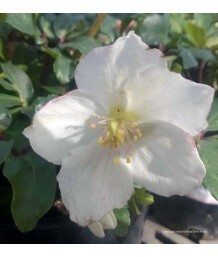 Beautiful wh..
Lenten RoseEvergreen perennial. Large attractive dark greenish-gray, toothed leaves grow into uprigh..
Lenten RoseEvergreen perennial. Large attractive green leaves grow into shrubby mounds. Beautiful sp..
Lenten RoseEvergreen perennial. Large attractive green leaves grow into shrubby mounds. Beautiful ru..
Lenten RoseEvergreen perennial. Large attractive green leaves grow into shrubby mounds. 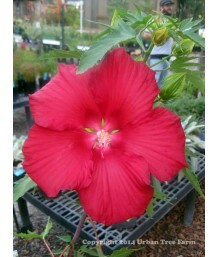 Large single..
Lenten RoseEvergreen perennial. Large attractive green leaves grow into shrubby mounds. Beautiful pa..
DaylilyDeciduous grassy shrub. Fast clumping growth. Green grass-like bladed foliage. Cherry red flo..
DaylilyDeciduous grassy shrub. Fast clumping growth. Green grass-like bladed foliage. Bright yellow ..
DaylilyDeciduous grassy shrub. Fast clumping growth. Green grass-like bladed foliage. Lavender-pink ..
DaylilyDeciduous grassy shrub. Fast clumping growth. Green grass-like bladed foliage. Creamy white f..
DaylilyEvergreen grassy shrub. Fast clumping growth. Grassy green blade-like foliage. Brick reddish ..
DaylilyDeciduous grassy shrub. Fast clumping growth. Green grass-like bladed foliage. Bright orange ..
DaylilyDeciduous grassy shrub. Fast clumping growth. Green grass-like bladed foliage. Cranberry red ..
DaylilyDeciduous grassy shrub. Fast clumping growth. Green grass-like bladed foliage. Creamy yellow ..
DaylilyDeciduous grassy shrub. Fast clumping growth. Green grass-like bladed foliage. Peachy-pink fl..
DaylilyDeciduous grassy shrub. Fast clumping growth. Green grass-like bladed foliage. Dusky rose flo..
DaylilyDeciduous grassy shrub. Fast clumping growth. Green grass-like bladed foliage. Rich orange fl..
Cow ParsnipDeciduous perennial. Big bold rosettes of large lobed leaves followed by stout flower ste..
Red YuccaEvergreen perennial. Thick, fleshy, grass-like foliage grows upright with slight arching. B..
HesperanthaDeciduous perennial. 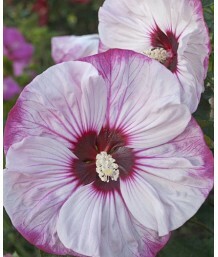 South African "bulb" or cormous perennial. Narrow, grasslike green l..
Golden AsterEvergreen perennial. Versatile and tough California native. 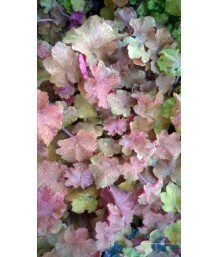 Small textured green leaves ..
Coral Bells/Alum RootEvergreen perennial. Hybrid of California species. Appealing heart-shaped solid..
Coral Bells/Alum RootEvergreen perennial. Appealing heart-shaped solid green leaves with bold veins ..
California Channel Island Coral BellsEvergreen perennial. California native. Appealing heart-shaped ..
Coral Bells/Alum RootEvergreen perennial. California native. Appealing heart-shaped soft green leave..
California Coral BellsEvergreen perennial. California native. Appealing heart-shaped solid green lea..
Coral Bells/Alum RootEvergreen perennial. Hybrid of California species. Appealing deep red-purple he..
Coral Bells/Alum RootEvergreen perennial. Hybrid of California species. Appealing deep purple-green ..
California Alum RootEvergreen perennial. California native. Appealing heart-shaped solid green leave..
Coral Bells/Alum RootEvergreen perennial. 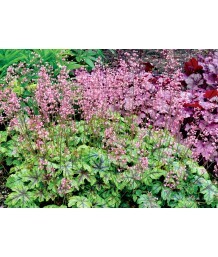 Appealing heart-shaped dark purple-green leaves with bold ..
Coral Bells/Alum RootEvergreen perennial. 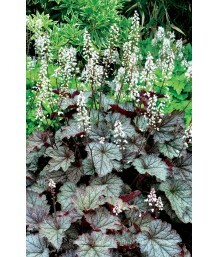 Appealing heart-shaped white leaves splashed with dark gre..
Coral Bells/Alum RootEvergreen perennial. 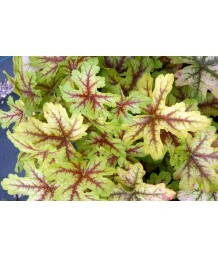 Appealing heart-shaped medium green leaves with bold veins..
Coral Bells/Alum RootEvergreen perennial. 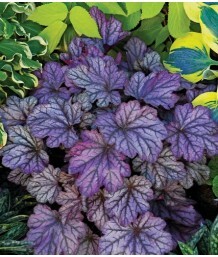 Appealing heart-shaped greenish-purple leaves with bold ve..
Coral Bells/Alum RootEvergreen perennial. 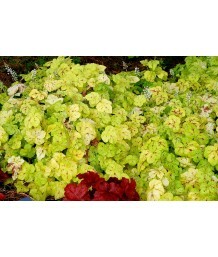 Appealing heart-shaped apricot-golden yellow-green leaves ..
Coral Bells/Alum RootEvergreen perennial. Appealing heart-shaped green, caramel and purple leaves wi..
Coral Bells/Alum RootEvergreen perennial. Appealing heart-shaped rose-purple leaves with bold veins ..
Coral Bells/Alum RootEvergreen perennial. Appealing heart-shaped chartreuse green leaves with bold v..
Coral Bells/Alum RootEvergreen perennial. Appealing heart-shaped silvery-green-purple leaves with bo..
Coral Bells/Alum RootEvergreen perennial. Appealing heart-shaped green, yellow and pinkish-orange le..
Coral Bells/Alum RootEvergreen perennial. 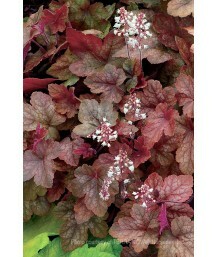 Appealing heart-shaped chocolate brown leaves with bold ve..
Coral Bells/Alum RootEvergreen perennial. Appealing heart-shaped bright lime-green leaves with bold ..
Coral Bells/Alum RootEvergreen perennial. 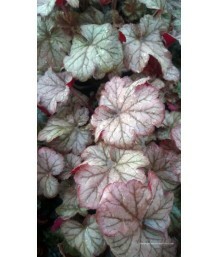 Appealing heart-shaped smoky-rose leaves with bold veins a..
Coral Bells/Alum RootEvergreen perennial. 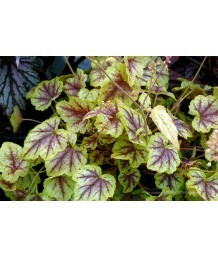 Appealing heart-shaped amber gold leaves with bold veins g..
Coral Bells/Alum RootEvergreen perennial. 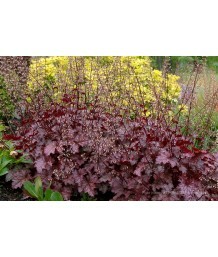 Appealing heart-shaped dark purple-red leaves with bold ve..
Coral Bells/Alum RootEvergreen perennial. 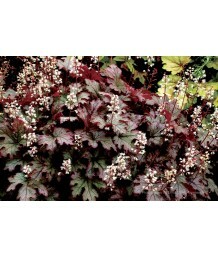 Appealing heart-shaped near-black leaves with bold veins g..
Coral Bells/Alum RootEvergreen perennial. 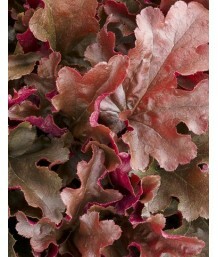 Appealing heart-shaped deep crimson leaves with bold veins..
Coral Bells/Alum RootEvergreen perennial. 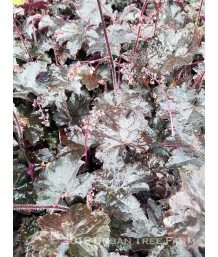 Appealing heart-shaped deep purple leaves with bold veins ..
Coral Bells/Alum RootEvergreen perennial. 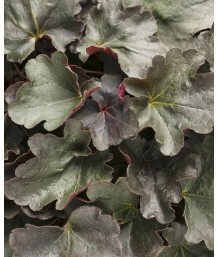 Appealing heart-shaped deep purple-black leaves with bold ..
Coral Bells/Alum RootEvergreen perennial. Appealing heart-shaped blackish-purple leaves grow into at..
Coral Bells/Alum RootEvergreen perennial. 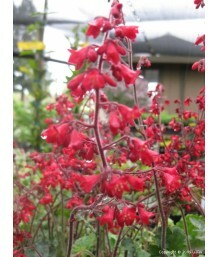 Appealing heart-shaped cinnamon-red and pink leaves grow i..
Coral Bells/Alum RootEvergreen perennial. 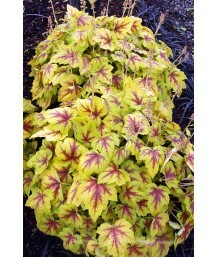 Appealing heart-shaped yellow and caramel leaves grow into..
Coral Bells/Alum RootEvergreen perennial. 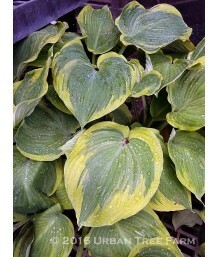 Appealing heart-shaped bright yellow-green leaves with bol..
Coral Bells/Alum RootEvergreen perennial. Appealing heart-shaped dark green leaves with bold veins a..
Coral Bells/Alum RootEvergreen perennial. 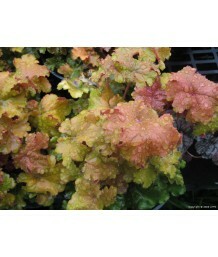 Appealing heart-shaped peach-orange leaves with bold veins..
Coral Bells/Alum RootEvergreen perennial. Appealing heart-shaped deep rose-purple leaves with bold d..
Coral Bells/Alum RootEvergreen perennial. Appealing heart-shaped deep green and grey marbled leaves ..
Coral Bells/Alum RootEvergreen perennial. Appealing heart-shaped pinkish-green leaves with bold vein..
Coral Bells/Alum RootEvergreen perennial. Appealing heart-shaped purple-red leaves with dark veins g..
Coral Bells/Alum RootEvergreen perennial. Appealing heart-shaped chartreuse to deep red leaves with ..
Coral Bells/Alum RootEvergreen perennial. 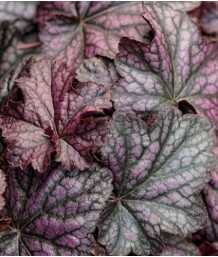 Appealing heart-shaped pewter-purple leaves with bold vein..
Coral Bells/Alum RootEvergreen perennial. Appealing heart-shaped reddish-purple leaves with bold vei..
Coral Bells/Alum RootEvergreen perennial. 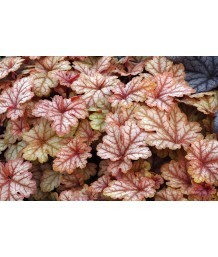 Appealing heart-shaped glowing peachy-red leaves with ligh..
Coral Bells/Alum RootEvergreen perennial. 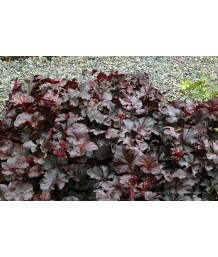 Appealing heart-shaped dark purple leaves with bold veins ..
Coral Bells/Alum RootEvergreen perennial. 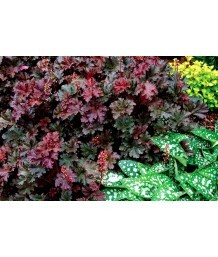 Appealing heart-shaped dark bronze-purple leaves with bold..
Coral Bells/Alum RootEvergreen perennial. Appealing heart-shaped silvery-green leaves with bold vein..
Coral Bells/Alum RootEvergreen perennial. 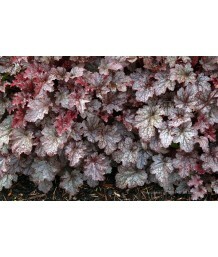 Appealing heart-shaped metallic purple leaves with bold ve..
Coral Bells/Alum RootEvergreen perennial. Appealing heart-shaped mottled green leaves with bold vein..
Coral Bells/Alum RootEvergreen perennial. 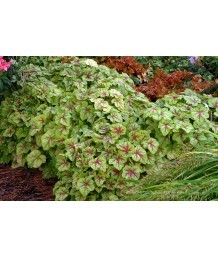 Appealing heart-shaped bronze-green leaves with bold veins..
Coral Bells/Alum RootEvergreen perennial. Appealing heart-shaped deep purple-green leaves with bold ..
Coral Bells/Alum RootEvergreen perennial. Appealing heart-shaped amber-green leaves with bold veins ..
Coral Bells/Alum RootEvergreen perennial. 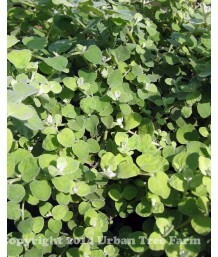 Appealing heart-shaped bright green leaves with light vein..
Foamy BellsEvergreen perennial. 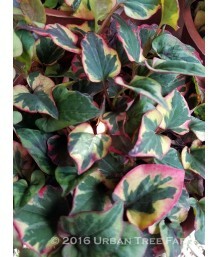 Appealing maple-shaped bright gold-green leaves with bold red veins ..
Foamy BellsEvergreen perennial. Appealing maple-shaped light blue-green leaves with bold veins grow ..
Foamy BellsEvergreen perennial. 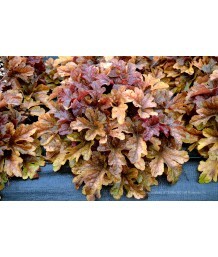 Appealing maple-shaped copper-caramel leaves with bold veins grow in..
Foamy BellsEvergreen perennial. Appealing maple-shaped blue-green leaves with bold veins grow into c..
Foamy BellsEvergreen perennial. Appealing maple-shaped light lime green leaves with bold red veins g..
Foamy BellsEvergreen perennial. 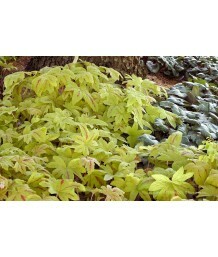 Appealing maple-shaped gold-green leaves with soft red centers grow ..
Foamy BellsEvergreen perennial. Appealing maple-shaped amber-orange leaves with bold red veins grow ..
Foamy BellsEvergreen perennial. 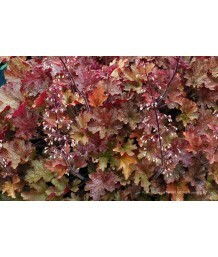 Appealing maple-shaped reddish-orange leaves with bold red veins gro..
Foamy BellsEvergreen perennial. Appealing maple-shaped lime-green leaves with beet red centers grow ..
Foamy BellsEvergreen perennial. Appealing maple-shaped yellow leaves with bold red veins grow into c..
Foamy BellsEvergreen perennial. Appealing maple-shaped blackish-purple leaves with bold red veins gr..
Foamy BellsEvergreen perennial. Appealing maple-shaped yellow-green leaves with bold red veins grow ..
Perennial HibiscusDeciduous perennial. Lobed dark green leaves grow into upright bushy mounds. Numer..
Perennial HibiscusDeciduous perennial. Large dark blue-green leaves grow into upright bushy mounds. ..
Perennial HibiscusDeciduous perennial. Large dark green leaves grow into upright bushy mounds. Numer..
Perennial HibiscusDeciduous perennial. Lobed, maple-like green leaves grow into upright bushy mounds..
Perennial HibiscusDeciduous perennial. Lobed, maple-like reddish-green leaves grow into upright bush..
Perennial HibiscusDeciduous perennial. Large dark purplish-green leaves grow into upright bushy moun..
Plantain LilyDeciduous perennial. Thick green leaves with a narrow golden margin form a sturdy mound..
Plantain LilyDeciduous perennial. Thick dark green leaves with irregular white margins form a sturdy..
Plantain LilyDeciduous perennial. Thick green leaves with creamy white margins form a sturdy mound, ..
Plantain LilyDeciduous perennial. Thick deep green leaves with thin golden yellow margins form a stu..
Plantain LilyDeciduous perennial. Thick chartreuse yellow leaves with dark green margins and center ..
Plantain LilyDeciduous perennial. Beautiful silver-blue leaves form a sturdy mound, well suited for ..
Plantain LilyDeciduous perennial. Thick small dark green leaves resembling mouse ears form a sturdy ..
Plantain LilyDeciduous perennial. 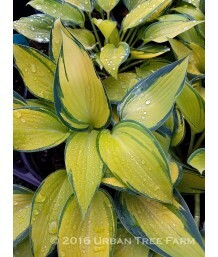 Beautiful creamy-yellow leaves with wide blue-green edging form a ..
Plantain LilyDeciduous perennial. Thick grey-green leaves with narrow creamy white margins form a st..
Plantain LilyDeciduous perennial. Beautiful pure white leaves with blue-streaked margins form a stur..
Plantain LilyDeciduous perennial. Light green leaves with slim white margins form a sturdy mound, we..
Plantain LilyDeciduous perennial. Beautiful blue-green leaves with creamy-yellow edges form a sturdy..
Plantain LilyDeciduous perennial. Thick blue-green leaves with yellow-white margins form a sturdy mo..
Plantain LilyDeciduous perennial. Apple green leaves with creamy margins form a sturdy mound, well s..
Plantain LilyDeciduous perennial. Large dark green leaves with white margins form a sturdy mound, we..
Plantain LilyDeciduous perennial. Large blue-green leaves with irregular greenish-yellow margins for..
Plantain LilyDeciduous perennial. Large yellow leaves with irregular dark green margins form a sturd..
Plantain LilyDeciduous perennial. Large medium-green leaves with irregular golden yellow margins for..
Plantain LilyDeciduous perennial. Large blue-green leaves are accented with a chartreuse center, wit..
Plantain LilyDeciduous perennial. Guacamole colored leaves with dark blue-green margins form a sturd..
Plantain LilyDeciduous perennial. Beautiful true blue-green leaves form a sturdy mound, well suited ..
Plantain LilyDeciduous perennial. Thick gold leaves with blue-green margins form a sturdy mound, wel..
Plantain LilyDeciduous perennial. Frosty blue-green leaves form a sturdy mound, well suited for mass..
Plantain LilyDeciduous perennial. Large blue-green leaves with wide yellow margins form a sturdy mou..
Plantain LilyDeciduous perennial. Yellow leaves with green margins form a sturdy mound, well suited ..
Plantain LilyDeciduous perennial. Intense blue leaves form a sturdy mound, well suited for mass plan..
Plantain LilyDeciduous perennial. 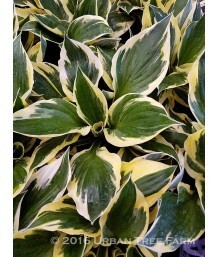 Large creamy white leaves with dark green margins form a sturdy mo..
Plantain LilyDeciduous perennial. Satin green leaves with creamy white margins form a sturdy mound, ..
Plantain LilyDeciduous perennial. Huge dark green leaves with creamy white centers form a sturdy mou..
Plantain LilyDeciduous perennial. Thick blue-green leaves with yellow-green margins form a sturdy mo..
Plantain LilyDeciduous perennial. Large deep green leaves with irregular white margins form a sturdy..
Plantain LilyDeciduous perennial. Grey-green leaves with irregular white and creamy yellow margins f..
Plantain LilyDeciduous perennial. Beautiful yellow-green leaves form a sturdy mound, well suited for..
Plantain LilyDeciduous perennial. Beautiful bright-yellow leaves with dark-green edging form a sturd..
Plantain LilyDeciduous perennial. Blue-green leaves with gold margins form a sturdy mound, well suit..
Plantain LilyDeciduous perennial. Beautiful yellow-green leaves with gray-blue edging form a sturdy ..
Plantain LilyDeciduous perennial. Beautiful creamy-yellow leaves with wide dark-green edging form a ..
Plantain LilyDeciduous perennial. Large bright green leaves form a sturdy mound, well suited for mas..
Plantain LilyDeciduous perennial. Frosty blue-green leaves with creamy white margins form a sturdy m..
Plantain LilyDeciduous perennial. Blue-green leaves form a sturdy mound, well suited for mass planti..
Plantain LilyDeciduous perennial. Lime green leaves with creamy white and yellow margins form a stur..
Plantain LilyDeciduous perennial. Thick hearth shaped blue-green leaves form a sturdy mound, well su..
Plantain LilyDeciduous perennial. Metallic seersucker-like blue-green leaves, larger than other host..
Plantain LilyDeciduous perennial. Bright green heart-shaped leaves with golden yellow margins that t..
Plantain LilyDeciduous perennial. Bright golden leaves with wide, deep green margins and prominent v..
Plantain LilyDeciduous perennial. 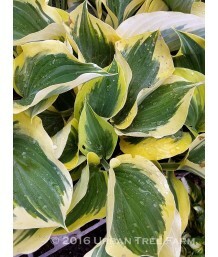 Potentially the largest and most popular hosta. Immense chartreuse..
Plantain LilyDeciduous perennial. 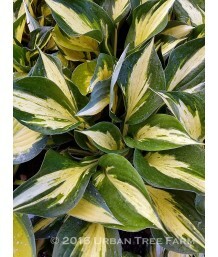 Groundcover type Hosta. Frosted, blue-green foliage with a wide go..
Plantain LilyDeciduous perennial. 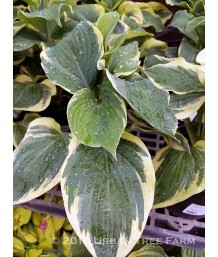 Miniature Hosta has heart-shaped white leaves with green edges. St..
Plantain LilyDeciduous perennial. Wavy leaves with white centers and irregular margins. Lilac flower..
Plantain LilyDeciduous perennial. Large dark blue-green leaves with wide irregular creamy white marg..
Plantain LilyDeciduous perennial. Long blue-green leaves with wide rippled golden margins form a stu..
Chinese Lizard-tailDeciduous perennial. Extremely invasive. 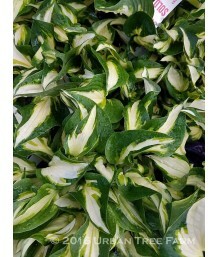 Flat green leaves variegated with shades..
Common HopsDeciduous perennial. Aggressive vining habit. Bright green leaves have three to five lobe..
Golden HopsDeciduous perennial. Aggressive vining habit. Bright chartreuse-green leaves have three t..
Cascade HopsDeciduous perennial. Aggressive vining habit. Bright green leaves have three to five lob..
Sundancer DaisyDeciduous perennial. Small, grass-like green bladed foliage. Yellow daisy-like flower..